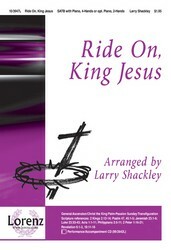 Showcase your choir's talents with this energetic setting of the traditional spiritual "Ride On, King Jesus" by Larry Shackley. Skillfully crafted, exuberant vocals are perfectly complemented by deft strokes of harmonic color in the accompaniment for piano, four-hands. 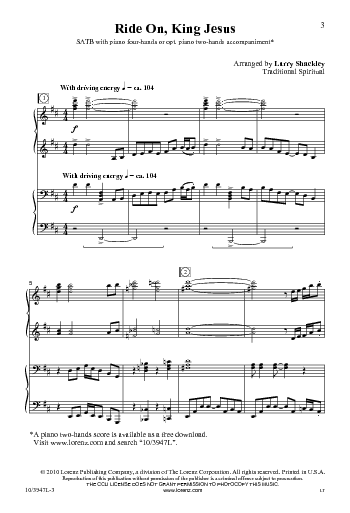 An optional two-hand accompaniment is also available as a free, downloadable file.